This round of fashion week street style has shown that windowpane patterns are still alive and well. The architectural take on classic "country" checks is a strong and sophisticated way to mix pattern into your wardrobe. Black and white versions of the print are a fashionable favorite, just check out Olivia Palermo in Tibi's Drop Waist Checker Dress. And if color is your preferred route, J.Crew has you covered. Love this pattern! That sweater is amazing and I love that dress!! love the look and your picks...especially the black and blue top. 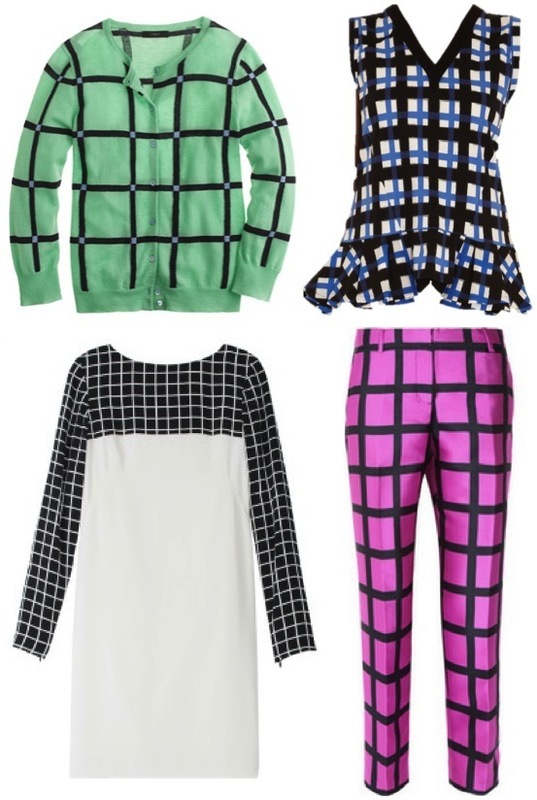 I love the look of windowpane checks...they're so bold and fun! Those pink pants are amazing! That J.Crew cardigan is my favorite- I love the play on the optical illusion! love your selections! Those Jcrew pants are on my wish list! I saw that picture of OP and totally fell in love with the look. Absolutely love this print ! 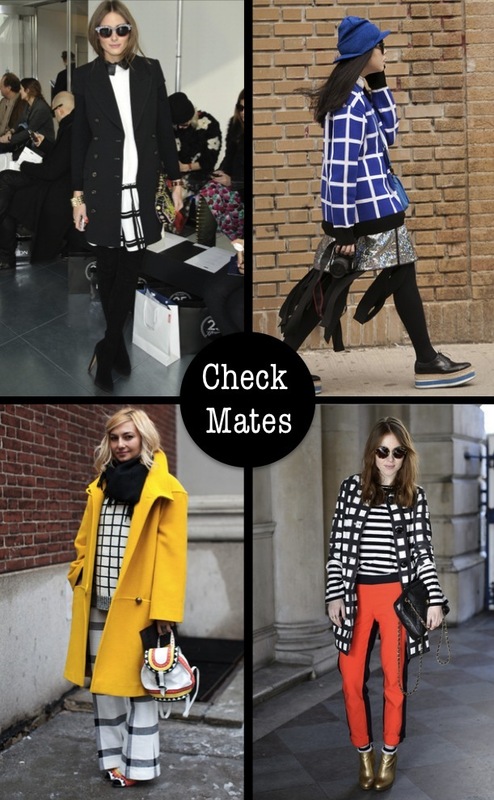 This window pane plaid is def having a moment! Have you entered my Tart giveaway yet?! I so want those J. Crew capris! Glad to see checkers back. Those capri pants are fabulous! Loving the Tibi window pane dress. Such a classic! Really i'm in love with your blog. So cool!